Architectural – Hamilton & Olsen Surveys Ltd. Architectural surveys are surveys carried out for a specific project area, which will be utilized for design purposes by an Architect. This type of plan would normally be used to assist in the design and development of a parcel of land. Examples could be the construction of new structures on a site, modification of existing structures or integration new structures onto an existing developed site. Retaining the services of an Alberta Land Surveyor for this type of survey provides assurance the measurements depicted are correct and relational positioning of various features to the legal property boundaries is also correct. Land Surveyors’ would typically prepare the Architectural Plan by certifying the correctness of their product by affixing their Corporate Permit Stamp and signing the plan. Obtaining a digital representation of the site you are developing can provide valuable information for the design specialists on your team. Dimensions and location of existing structures, elevations, contours, utility services, easements, right of ways, property boundary dimensions and adjacent property details can all be elements of an Architectural Survey. The establishment and marking of the boundaries of the site at the time of the architectural survey can also provide valuable benefits as you progress along with your development. It can assist you in the Building Permit process, as well as the construction phase of your project. Further advantages of boundary establishment includes the preparation of a Surveyors Real Property Report for a Building Compliance or Lot Grading Certification. 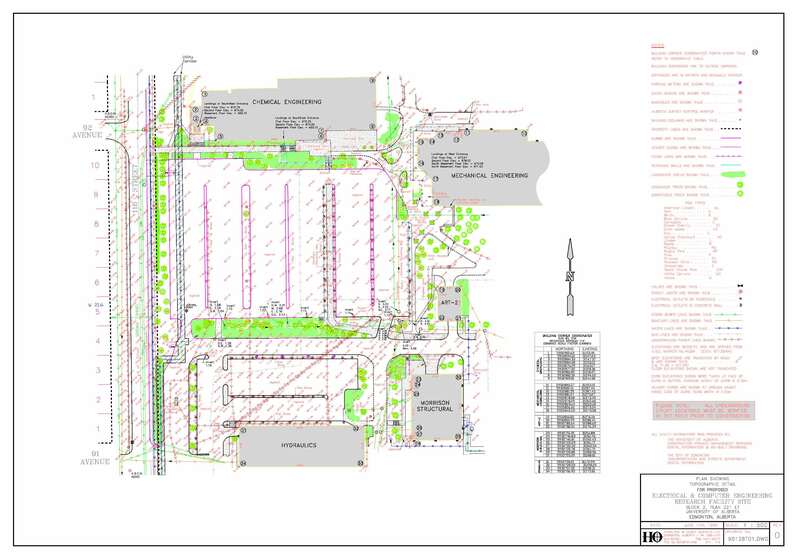 The digital files provided by the Land Surveyor can be relied upon for design work by both the Architect and Engineering teams, providing a base mapping file for the entire development project. 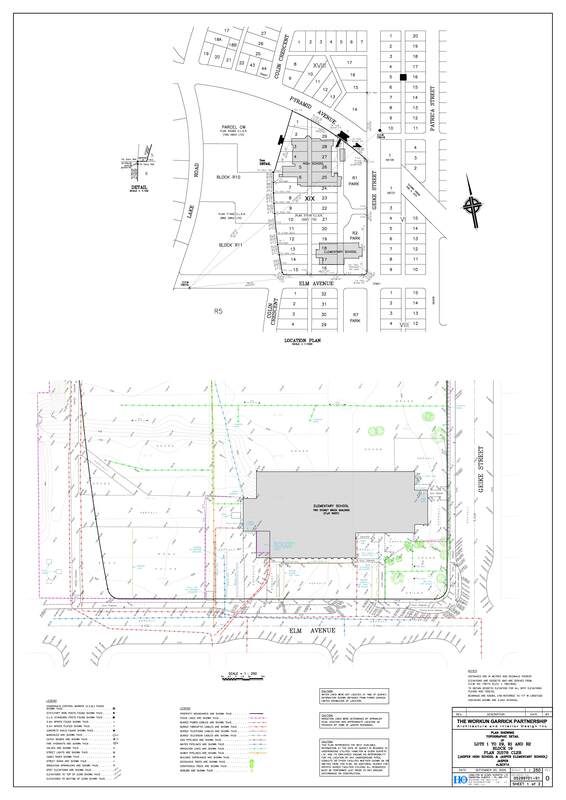 Elevation datums and map projections for the plan presentation can be modified by the Land Surveyor to conform to individual client preferences or regulatory bodies. The survey requirements for the architectural surveys are not, in general, covered by any statutory or regulatory requirement, however, the property boundary establishment must be carried out in conformity with the Alberta Surveys Act. The Alberta Land Surveyors’ Manual of Standard Practice contains guidelines for the survey tolerances and practices with respect to the boundary survey.